You are here: Home > All > Have Your Work Featured on the Front Cover of Amateur Photographer Magazine! 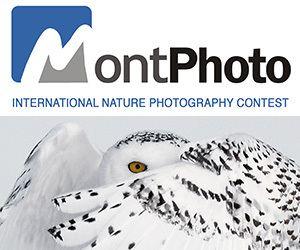 Have Your Work Featured on the Front Cover of Amateur Photographer Magazine! 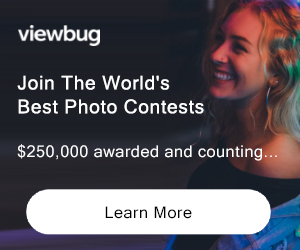 The holiday season is almost upon us, which means it’s time for Stir-up Sunday, sentimental TV adverts, and the Amateur Photographer Christmas cover contest, which is being hosted by Photocrowd. Here is a once-in-a-lifetime opportunity to have your work featured on the front cover of the world’s no1 weekly photography magazine over Christmas! You are free to interpret the theme in any way you choose: naturally we are happy to see shots of baubles, trees and lights, but we also want pictures that show the creative potential of the season in general, so feel free to submit winter landscapes, indoor portraits, frosty flora and fauna etc. If you think you already have something on file, great, if not try and shoot something specifically for the competition (see ‘The brief in detail’ tab for our insider tips). PRIZE DETAILS: A front cover placement on Amateur Photographer's 2018 Christmas Special, a Billingham Hadley Pro bag, and a subscription to Amateur Photographer up for grabs! The overall winner (as judged by the AP team) will see their picture grace the cover of the AP Christmas Special issue (22-29 December). They will also receive Billingham Hadley One bag worth £265, courtesy of Billingham (www.billingham.co.uk). The Billingham Hadley One is precision-engineered from rugged, weather-proof material (Billingham Canvas or FibreNyte) and accommodates a mid-sized DSLR body and lens, or a compact system camera kit. Its removable padded insert provides optimum protection, and a bespoke padded interior laptop sleeve holds a 13in laptop or tablet securely in place. The Hadley One’s strong top handle with reinforced leather grip allows it to be grabbed quickly on the go, while the durable luggage strap enables the bag to be hooked safely over a trolley suitcase handle. Handmade in England and designed to last a lifetime, each bag carries its own individual serial number. The winner can choose from six classic colour combinations. A second winner (as awarded by the public vote via Photocrowd), will receive a one-year subscription to AP. If the standard of entries is deemed high enough, the winner(s) and a selection of commended entries will also appear inside a future issue of the magazine. Not eligible to enter? - Find contest where you are. COPYRIGHT: Photocrowd.com seeks no ownership of the content submitted to the website and respects and supports the rights of the creator and/or owner. Copyright remains with the image creator and/or owner at all times. USAGE RIGHTS: By uploading your content to the Photocrowd.com website you retain all rights to that content as previously enjoyed before uploading By posting your content to the Photocrowd.com website you agree to grant to Photocrowd.com a non-exclusive, transferrable, fully paid, worldwide licence (with the right to sub-licence) to use, distribute, reproduce and publicly display such content in connection with the Photocrowd.com services. This licence will last for the period during which the content is posted on the Photocrowd.com website and will automatically terminate upon the removal of the content from the website.